I was smitten by Cherry's new line. 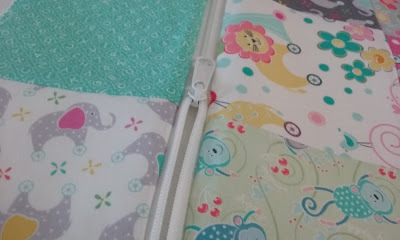 While I am partial to the ducks, I love how all the colors played together and wanted to showcase the whimsical prints in patchwork. The more I played with the fabrics, the more I was motivated to make a bag, and these prints work perfectly for boys or girls. And when it comes to babies, I remember the salvation of the diaper bag and all it contained. 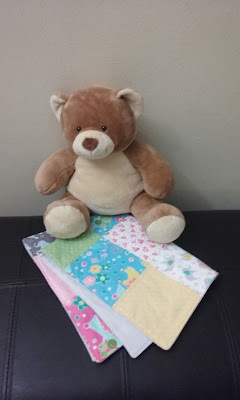 I made a roomy diaper bag and change mat to travel with for convenience. I loved working with these soft Contempo fabrics and look forward to more fun fabric from Cherry Blossoms Studios. Click here to see the entire My Little Sunshine collection. Just adorable! A lovely way to show off these cute fabrics! Super sweet and handy projects!! Such a cute diaper bag and changing mat!